The first thing non-divers always seem to say to divers when they learn that our favourite recreation activity involves swimming around in the open ocean relates to sharks. They either say "I'm too scared of sharks to learn to dive" or "Aren't you scared of sharks" or something similar. My answer to these questions has nearly always being along the lines that "We never see real sharks in the sea and in almost 2,000 dives in Sydney I have seen real sharks less than 20 times and of these, more than 10 were the grey nuse sharks at Magic Point. My major encounters with sharks in Sydney (everything in this article ignores Magic Point) have been four dives on deep wrecks where I have seen bronze whalers, dusky whaler sharks (also known as black whalers) and mako sharks. 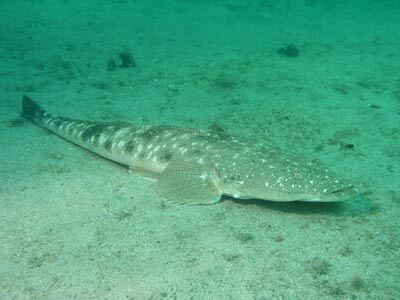 Apart from another couple of times where I saw a bronze whaler on a dive and a few where I saw grey nurse sharks, that is it. I have always said to these non-divers that I wish we saw more real sharks. Unfortunately, till recently we have never had the sites in Sydney where we could see real sharks on a regular basis. Firstly grey nurse sharks took up residence at Magic Point at South Maroubra. Now, there is another location where sharks can be seen. Since at least mid-2003 dusky whalers have appeared to take up residence at Shelly Beach at Manly. 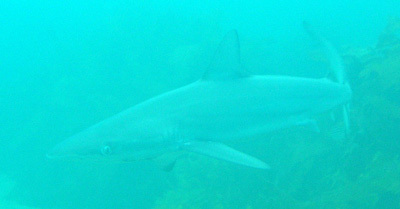 These sharks have come and gone over the time since but many divers have reported seeing them on a very regular basis. This is a different dive to the normal Shelly Beach dive, although you may see the sharks on that dive if lucky. Shelly Beach is located at Fairy Bower, the next suburb south from Manly. 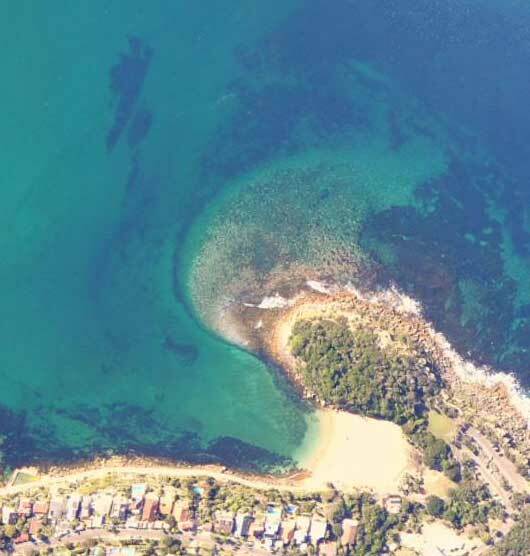 To find the beach, head to Manly and go south past Manly Wharf. Take the second on your left (Victoria Street) and then first right (Darley Street) and head up the road towards Manly Hospital. A few hundred metres from the bottom of the hill, turn left into Cliff Street. Go to the end and turn right into Bower Street. Follow this all the way to the end. Here you will find a two level car park. Park as close as you can to the end of the bottom level. This car park is probably the most expensive car park in Sydney outside the CBD areas. It costs $7 to park here for two hours and $16 for more than just under four hours. Why is it that on the northern beaches we have to pay at each and every beach and even the boat ramps? I refuse to pay this so there is a way out most times. Unload your car and set your gear up. Once it is all ready, leave a person to watch the gear while you move your car. Go out the car park's exit (through the top car park) and back up Bower Street. If you are lucky, you will find a car space not too far along. On weekdays you will have no problem and on all but mid-summer weekends, you will also be able to park here, although you may need to go a bit further. It is not too far back and if you go past the small park, you can cut back through the bottom of the beach. If you are doing a night dive you can park here without payment. Anyway, once you are ready, walk to the end of the car park and you will see some stairs that lead down to the grassed area behind the beach. Walk along the pathway towards the kiosk/cafe and then along the promenade that leads to Fairy Bower and Manly Beach. Just past the cafe you will see that there is a ramp that leads from the promenade down to the water's edge. Walk down the ramp and into the water. After you have donned your fins and mask, swim out a few metres and descend. 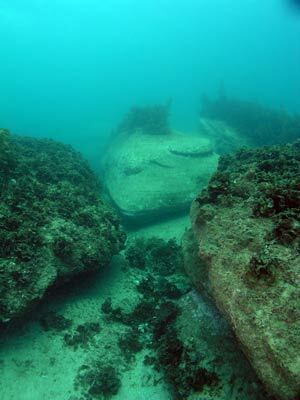 This dive follows the left side of the bay (whereas the normal dive follows the right side) parallel to the promenade. Follow the edge of the reef. The direction will be west or just south of west. At first the reef is a low rocky reef with lots of kelp and weed. There is not normally much to see here. The depth starts at about two metres and very gradually increases to just over six metres. You will get here in about 10 minutes. The reef here comes up a little more, only a metre at the most. The reef is a little less covered in kelp and has some open areas. Around this spot keep a look out for the sharks. They seem to swim about a metre or two off the bottom and come in from the sand side and go over the reef. The sharks are quite small, only just over a metre or so (at least the ones I saw). In this area you may also see huge flatheads, almost as big as the sharks! Around here the reef turns a little more to the south for a short distance before it again heads west. You are now very close to the Fairy Bower dive site. The reef is far more prominent in this location. There are some very large rocks off the wall as well as some smaller ones. There are cracks and overhangs in the main wall. Soon you will see a large concrete sewer pipe. Who knows how it got here. This section us about two or three metres long. There is another section about 10 metres away to the south. To the north from this spot there is a motorcycle. This has been here since at least the late 1980s. Further along the wall remains very prominent (see the photo above) and even more cracks and overhangs. About 40 or 50 metres along the reef turns and runs almost due south. This is about the spot to turn around as you will end up on Manly beach if you continue. Head back the way you have come and keep an eye open for more sharks. People have seen up to 15 on the one dive, although I have only ever seen four on the one dive (could have been four individual sharks or two or three). You can range a bit over the sand or reef to explore a bit. You should end up back at the beach after about 55 to 60 minutes. After you exit the water, you can wash the sand off your booties and wetsuit bottoms using the showers at the top of the ramp. This dive is really only worth doing due to the presence of the dusky whaler sharks. If it was not for them, you would really only ever do this dive once every couple of years. There are no sponges, no sea tulips, no fixed marine life of any interest. You may see some nice blue gropers, some schools of surgeonfish, yellowtail, seapike and a few other species. Time lapse video from 6 May 2012 using GoPro.